Two states are leading a charge to undermine rooftop solar. If successful, the attack could spread to other states. Utilities across the country are trying to find ways to undermine rooftop solar, and some states are giving them some help. This month alone, Wyoming's legislature introduced a bill that would effectively ban both wind and solar in the state, including rooftop solar. Indiana's legislature is also considering a bill that would force rooftop solar owners to sell all of their energy production to the utility while buying all of their energy from the utility. It's not yet clear whether either bill will go forward, but it's clear that utilities and some states are moving to a more adversarial stance with solar energy. And since state-wide policies that pass tend to used as models for implementation in other states, continued regulation of solar could be in the offing. That could impact solar companies in a dramatic way. The rooftop solar industry is under attack. Net metering has long been the foundation of rooftop solar economics in the U.S. A customer with solar could put solar panels on their roof and use any electricity they could, but any excess would be sent to the grid. When their monthly bill arrived, they would only pay for their net electricity usage, meaning solar energy exported to the grid would effectively be paid the retail rate. Many utilities argue that net metering doesn't compensate them fairly for running the grid, but rules to adopt a fairer structure aren't usually as draconian as banning rooftop solar altogether. The three companies that would be the most at risk in the attack on rooftop solar will be Tesla(NASDAQ:TSLA), Vivint Solar (NYSE:VSLR), and Sunrun (NASDAQ:RUN). Tesla isn't 100% reliant on rooftop solar after it bought SolarCity, but Vivint Solar and Sunrun are. If these attacks are successful, they could be in trouble. Rooftop solar demand was already fairly weak in 2016, leading to all rooftop solar companies to cut back on installation growth projections. At this point, it's unlikely there will be much installation growth at all in late 2016 and early 2017. That's why any pressure on demand will be a negative, even if it starts in states like Indiana and Wyoming, which have very little solar. What's interesting about the attack on solar is that it'll only delay the inevitable. Rooftop solar energy is now cost effective in most of the country if net metering is in place, which is why utilities are trying to add fees or undercut net metering rates. But as fees, like demand charges or fixed charges, go up, it will drive customers to solar + storage, which utilities can't control as easily. 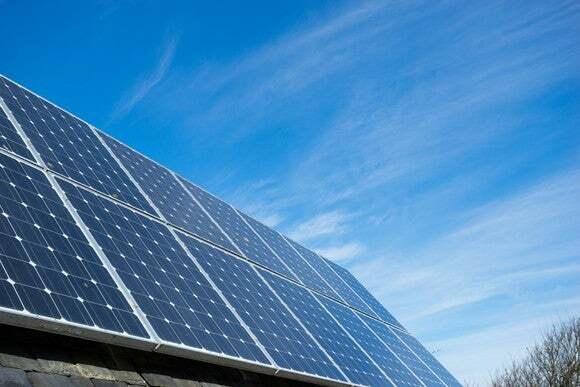 As the cost of solar and batteries comes down, it will eventually be economical to generate electricity on your rooftop, store any excess created during the day, and then use stored energy at night. This wouldn't require any energy exports to the grid, meaning the utility would have few methods for punishing customers who choose to go solar. If they did, customers may eventually find it economical to cut the grid altogether. Tesla is clearly leading the way into solar + storage with the Powerwall, an energy storage system with an inverter included. But Sunrun and Vivint Solar are starting to add their own solar + storage offerings as well. Call it insurance for the inevitable attack they'll face from utilities afraid of losing their customers. The attack may be reaching a fevered pitch and investors will want to watch the developments in test states like Indiana and Wyoming closely.